A beverage called Vitaminwater has been very popular in recent years. It contains added vitamins and minerals, and is marketed as healthy. However, what is left out of the marketing claims, is that Vitaminwater is loaded with added sugar. As you may know, sugar can cause severe harm when consumed in excess. Additionally, almost no one actually needs more of the nutrients added to Vitaminwater. This article lists 5 reasons why Vitaminwater is actually bad for your health. 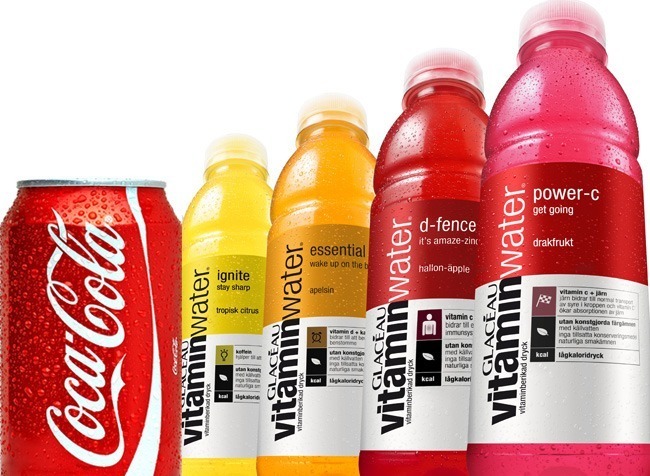 Vitaminwater is a beverage brand owned by the Coca-Cola company. There are many varieties, each with an attractive name like focus, endurance, refresh, defense and essential. As is reflected in the name, it is water that is enriched with vitamins and minerals. It is also claimed to contain natural colors and flavors. However, Vitaminwater is also loaded with added sugar, particularly fructose, which is linked to all sorts of health problems when consumed in excess. Vitaminwater also has a Zero product line, with no added sugar. Instead, it is sweetened with erythritol and a refined sweet compound extracted from the stevia plant. The first three reasons do not apply to Vitaminwater Zero. Bottom line: Vitaminwater is a brand of beverages owned by the Coca-Cola company. It contains added vitamins and minerals, and is generally sweetened with sugar. There is also a Zero line without added sugar. One 20-oz (591 ml) bottle of Vitaminwater contains about 120 calories and 32 grams of sugar, just about 50 percent less than a regular Coke. However, it differs between countries which type of sugar is used. In the U.S., they sweeten Vitaminwater with crystalline fructose and cane sugar, but in other countries they use mainly cane sugar (fancy word for sugar). Crystalline fructose is the worst, being almost pure fructose (over 98 percent), while cane sugar is 50 percent glucose and 50 percent fructose. If we look more closely, we can see that a bottle of Vitaminwater (in the U.S.) may contain about the same amount of fructose as a bottle of regular Coke. That is because the majority of the sugar in U.S. Vitaminwater is in the form of pure fructose, while fructose comprises only half of the sugar content of Coke. Many studies show that fructose is the main harmful component of added sugar, not glucose. Bottom line: One bottle of Vitaminwater contains 120 calories and 32 grams of sugar. In countries where it is sweetened with Crystalline fructose (like the U.S.), it contains just as much fructose as a sugary drink like Coke. When it comes to weight gain/loss, what you drink is just as important as what you eat. When you drink liquid sugar calories, your body does not compensate by making you eat less of other foods instead. The calories coming from these sugar-sweetened drinks are then added on top of everything you eat. Over time, this can lead to weight gain and increased risk of obesity and other related diseases. Consumption of sugar-sweetened beverages is among the worlds strongest risk factors for obesity, some studies showing up to a 60 percent increased risk of obesity in children, for each daily serving. There is no reason why Vitaminwater should be any different. It is just another sugary beverage. Bottom line: Your body does not compensate for liquid sugar calories, making you eat more calories overall. Sugar-sweetened beverages like Vitaminwater are strongly linked to weight gain and obesity. Almost all health experts agree that added sugar plays a key role in the epidemics of obesity and chronic diseases. It is recommended to keep the intake of added sugars below 10 percent of total calories, preferably below 5 percent. For a 2,500 calorie diet, 10 percent of calories amounts to 62 grams of sugar, and 5 percent amounts to 31 grams of sugar. 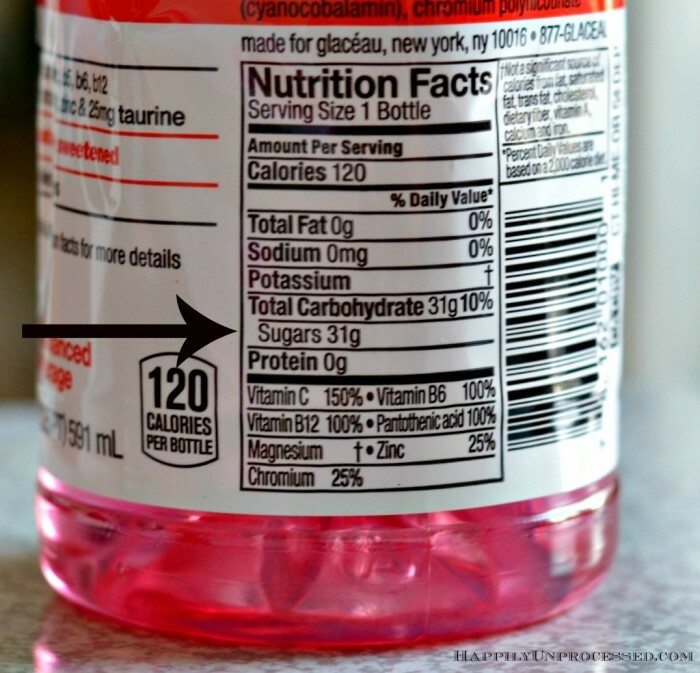 As mentioned above, one bottle of Vitaminwater contains 32 grams of added sugar. That is 50-100 percent of the recommended upper limit. Added sugar is strongly associated with type 2 diabetes, tooth decay, heart disease, the metabolic syndrome and even cancer. This applies mainly to fructose, which can only be metabolized by the liver in significant amounts. Excess fructose consumption may cause high blood cholesterol and triglycerides, increased blood pressure, increased insulin resistance, fat build-up around the organs and increased risk of fatty liver disease. These are major risk factors for heart disease, diabetes and obesity. It should be noted that this does not apply to the fructose we get from fruit. Fruit contains water and fiber, and has a low energy density, so it is very hard to eat too much of it. Bottom line: One bottle of Vitaminwater provides 50-100 percent of the recommended upper limit for added sugar. Added sugar, especially fructose, is associated with a variety of diseases and health problems. 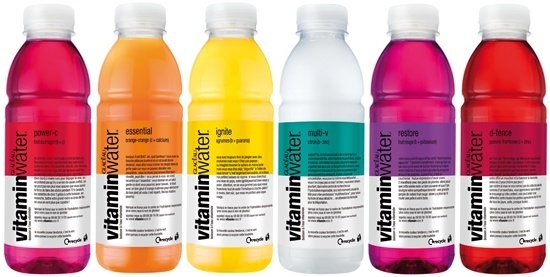 All types of Vitaminwater contain B vitamins (50-120 percent of the RDI) and vitamin C (50-150 percent of the RDI). Some types also contain smaller amounts of vitamins A and E, and the minerals potassium, magnesium, manganese, zinc and chromium. Vitamins B and C are water soluble vitamins that are almost never lacking in the average persons diet. Consuming excess amounts of these vitamins does not provide any sort of health benefit. They are not stored, but are simply washed out of the body via urine. That being said, there are subgroups of people who may be lacking in some of these vitamins and minerals (especially B12 and folate). However, it makes absolutely no sense to drink a harmful sugary beverage to get these nutrients. Eat whole foods instead, or take a supplement if you are truly lacking in something. Bottom line: Most of the micronutrients in Vitaminwater are not needed, as most people are already getting more than enough. Any excess amount is simply expelled from the body via urine. When it comes to nutrition, more is not always better. Vitamins, minerals and antioxidants are absolutely crucial as part of a healthy, real food-based diet. They may improve health and help prevent a range of diseases, including heart disease and cancer. However, supplementing with vitamins or antioxidants has not been linked with the same health benefits. Supplementation with some antioxidants and vitamins, such as vitamins A and E, has actually been associated with increased risk of premature death in some studies. Although Vitaminwater does not provide excessive amounts of these vitamins on its own, it does contain considerable amounts (25-50 percent of the recommended daily intake). When you add 25-50 percent of the recommended daily intake on top of what youre already getting from food, then it is possible that all of this will add up to reach excessive amounts. So not only are the micronutrients in Vitaminwater not beneficial, they may even be downright harmful if they are increasing your intake to harmful levels. Bottom line: Some Vitaminwater varieties contain vitamins A and E, which may have harmful effects when consumed in unnaturally large amounts. The owners (The Coca-Cola Company) have actually been sued for deceptive and unsubstantiated health claims about Vitaminwater. Their response was interesting: no reasonable person would be misled into thinking that Vitaminwater was a healthy beverage. They are actually trying to defend themselves by saying that the health promoting claims are so far fetched that people couldnt possibly believe them. The problem is that many people do actually fall for marketing claims. Most people dont read ingredient labels, and dont realize how unethical and ruthless the junk food companies can be. Despite the fancy marketing, Vitaminwater is a harmful, disease-promoting beverage that most people should be avoiding as much as possible. At best, it is just a slightly less bad version of Coke.